Beauty cottage is one of the popular local brand. They are selling their products in a reasonable price with superb quality. The best seller is their semi-matte lipstick 07. Mistine is the No.1 cosmetics in Thailand. Mistine’s advertisement can be spot everyone especially in the BTS Station. Mistine’s eyeliner and mascara are the favorites of all ladies. Thailand’s instant noodle is way more tasteful and chewy compare to Malaysia’s Maggi. Everyone who is coming back from Thailand will bring these Mama or Yum Yum Instant Noodles back after they’ve tried once. They have a variety of flavors such as pork, chicken, Tomyum and etc. Eating instant noodle as supper during travelling has become one of the habit of Malaysians. These are the snacks that you’ll eat non-stop once you’ve tried and best to pair up with beer! These snacks come with variety of flavors. It is cheaper to buy in a big package. The Koh Kae Peanuts has imported to Malaysia many years ago, but you can find more flavors in Thailand such as coffee and coconut. 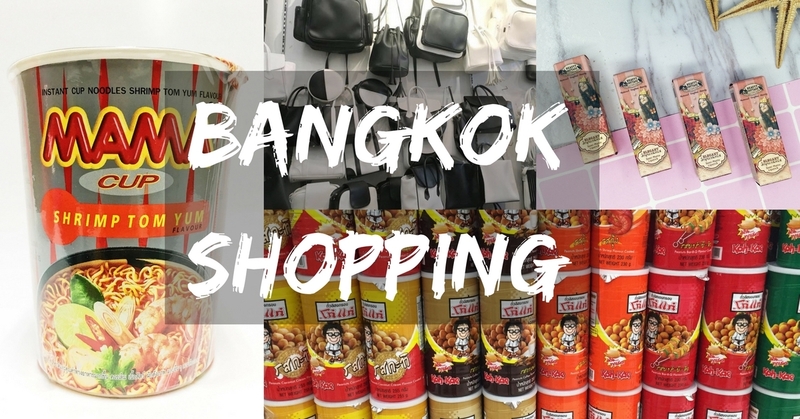 BKK Original is the most well-known bag brand in Thailand. It has tons of designs for you to choose. They also selling caps, eyeshades and soap. Riya is a new brand that is not well known as BKK in Malaysia. Riya is selling young and stylish quality bag with just a super low price! It has tote bag, backpack, shoulder bag, bucket bag and more. It has two color series which is black and white that is suitable for OL and candy color thatcould bring energetic to you.